MedAdvisor is making Flu Vaccination simpler. Build a healthier community by inviting your customers for a flu shot. Last flu season was the worst in nearly a decade, yet as little as 1 in 5 of those aged between 18 and 64 received a flu vaccination. What’s more, just 13% of vaccinations were delivered in pharmacy. 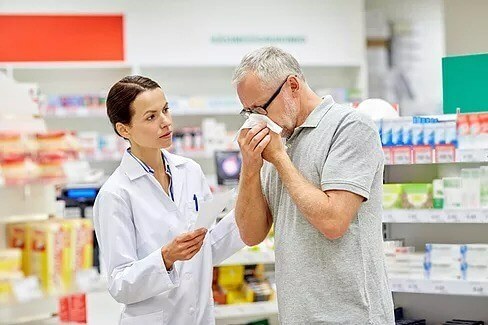 The Pharmacist Flu Program, part of the new Health Services Hub, offers a targeted digital marketing solution that allows you to connect with any customers in your dispense system (via SMS and the MedAdvisor app) and book in directly to your PlusOne calendar. Enabling the program will also list your pharmacy on the MedAdvisor website, so consumers can search and book for this service at your pharmacy. Register interest now to be among the first to have access. 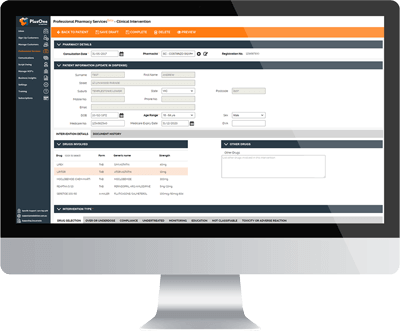 Use our wizard to set up your calendar availability and then select from our graphically designed templates to send messages. 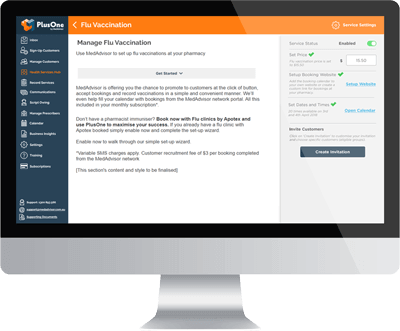 PlusOne automatically selects customers suitable for Flu Vaccination, however you can further edit who you wish to promote flu toward. Your customers can be invited via SMS, MedAdvisor App and email. They can easily make a booking which will appear in your PlusOne calenar. MedAdvisor will also be promoting flu vaccination to consumers on behalf of our network to help build healthier communities. Recording vaccinations has never been so simple with the new Flu Vaccination recording form. The pre-vaccination checklist can even be completed by the customer at the time of booking in their flu vaccination, saving you time.